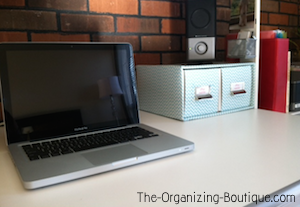 Home Office Ideas - Organize Your Office No Matter Where It Is! "Now I really want to sit down and get some work done!" I can't tell you how many times I have heard this, word for word, from an ecstatic client after organizing their office. It's so funny. 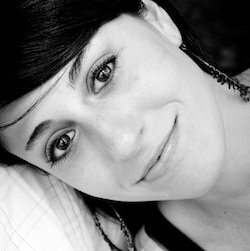 The ease of locating things excites them (as it does everyone) and getting work done doesn't seem like such an insurmountable task. Being organized at your workplace (where ever that may be: cubicle, home office, corner) improves efficiency, increases motivation, grows productivity, saves time and most importantly, money. The impact of office organization is truly amazing!!! Even more amazing, home office organization or office organizing in general can simply involve completing small tasks on a regular basis. The little things really do matter. Utilize the links below for home office ideas, desk organization tips, office organization supplies and more! 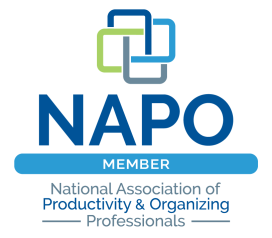 You will learn how to create an ideal work space, take control of office supply madness, implement effective routines and generally improve how much gets accomplished at your desk. 1. Discard the discards. Throw away all unnecessary items. For example, get rid of those old ketchup packets in your desk drawer; recycle and/or shred the pile of paper of drafts pertaining to a completed project; trash the outdated files on your computer desktop. 2. Sort simply. Make an "office supply" drawer for easy retrieval of pens and the like. No need to separate the staples from the paper clips. 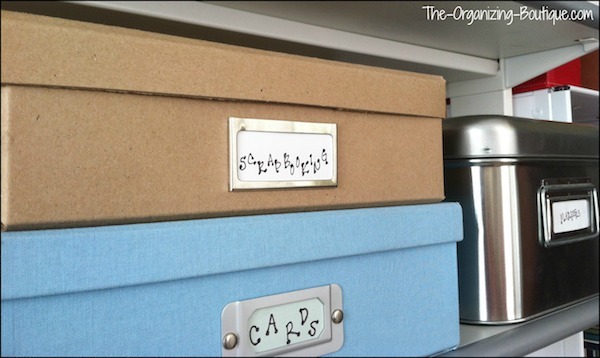 Gather your paper piles by project and archive them in a labeled box-bottom hanging file or a magazine holder. No need to separate them into further subcategories within the project; if each project's documents are together you'll find what you need. Do the same for the files on your computer. 3. Change it up. Hang new artwork on the wall or put a new decorative piece on your desk. This will give your office a refreshed look without spending much time or money. Want more home office ideas? 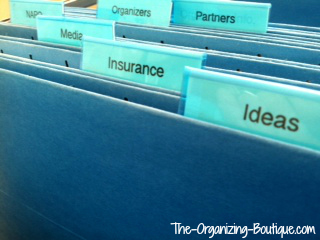 Check out these amazing office organization supplies that can help you get things in order! Home office organization is a vital part of being productive and getting things done. 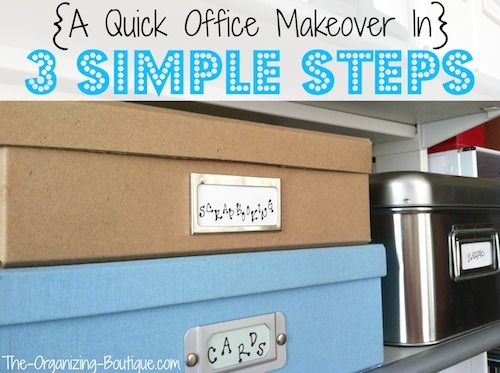 Here you'll find a step-by-step process for organizing your home office and everything in it as well as some initial, very important, things to consider. Think of your desk as the largest office organizer in your work space. Desk organization is essential to productivity in the office. Being able to easily navigate your way around your work space not only saves you time but also money. Who wouldn't want that?! Paper is so overwhelming! First, take a deep breath and close your eyes. Imagine the piles of paper disappear as you look around at your clutter-free office. Your office is clear and, consequently, so is your mind. You sit down at your neat desk and begin working at an incredible speed. Doesn't that sound nice? It's not just a day dream. It can happen and here's how!